Sell more tickets in advance and strengthen customer relationships! Offer buyers the ability to insure their highly prized tickets against unforeseen circumstances through a simple opt-in click. 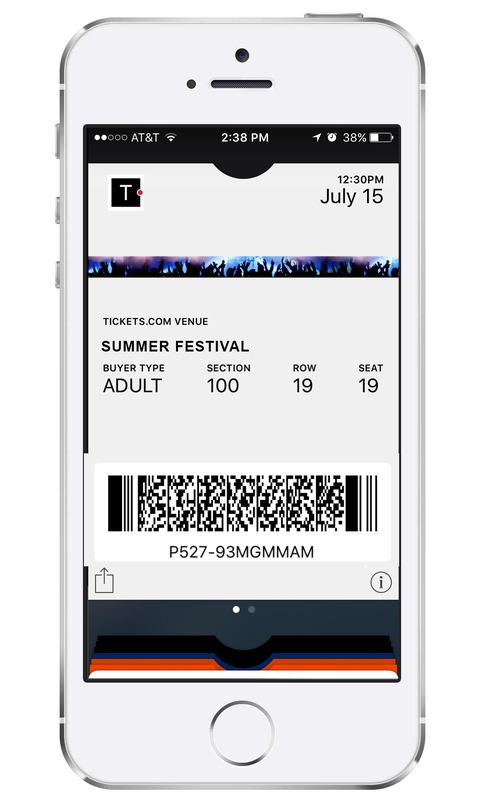 Tickets.com has teamed up with Apple’s Passbook so patrons can scan their iPhone for entry into an event. Now all tickets for your events are in the same place, stored all on your mobile device. Allow your patrons to decide which payment method is right for them. In addition to traditional payment card options and digital wallet support, Tickets.com now offers the PayPal e-commerce payment method for online purchases. Let’s go digital! Our technology recognizes when a ticket barcode is being displayed on a mobile device. The barcode is automatically rendered, enabling it to be scanned at an event for entry.